Less than a year ago, The Youth Cafe joined youth from Africa and Europe to develope new ideas on six topics essential to the AU-EU Partnership. The outcome (AU-EU Youth Declaration and Agenda) was presented at the 5th AU-EU Summit in Abidjan. The AU-EU Youth Cooperation Hub members at the Paris Peace Forum. The AU-EU Youth Cooperation Hub is where African and European youth THINK and ACT TOGETHER. 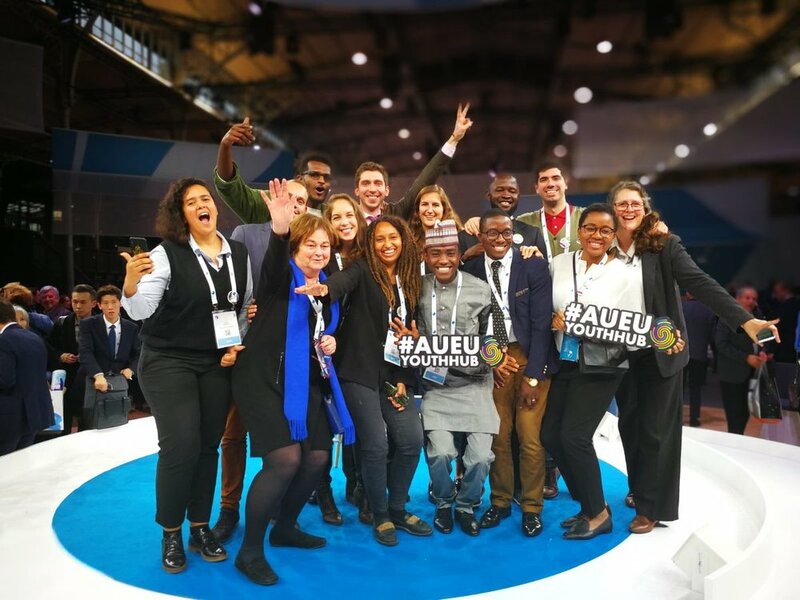 The AU-EU Youth Cooperation Hub follows the 4th Africa-Europe Youth Summit and the AU-EU Youth Plug-In Initiative, which involved African and European youth in suggesting new ideas on six essential topics to the AU-EU partnership, compiled in the Abidjan Youth Declaration and the AU-EU Youth Agenda.